Blue Plate Diner: Great Home Cooked Food! - Top Ten Travel Blog | Our experiences traveling throughout the US. Blue Plate Diner: Great Home Cooked Food! Mike and I ran into Blue Plate Diner while looking for a bite to eat before our afternoon trip to Second Beach in Middletown, Rhode Island. Sometimes, picking a restaurant random leads to horrible results! Fortunately, we ended up spontaneously picking a local diner with fantastic food, great interior decor, and friendly service! I was pleased to find out that this diner makes all their food from scratch and uses local farms for their eggs. Mike ordered the “Grown Up Grilled Cheese,” which included Swiss, Buffalo Mozzarella, and Cheddar Cheese with tomato and pesto. I ordered the California Omelette, which included avocado, sautéed mushrooms, tomato, onion, sour cream, and cheese. Both of our entrees were delicious and much better than traditional diner food. The best part of Blue Plate Diner is the interior decor. 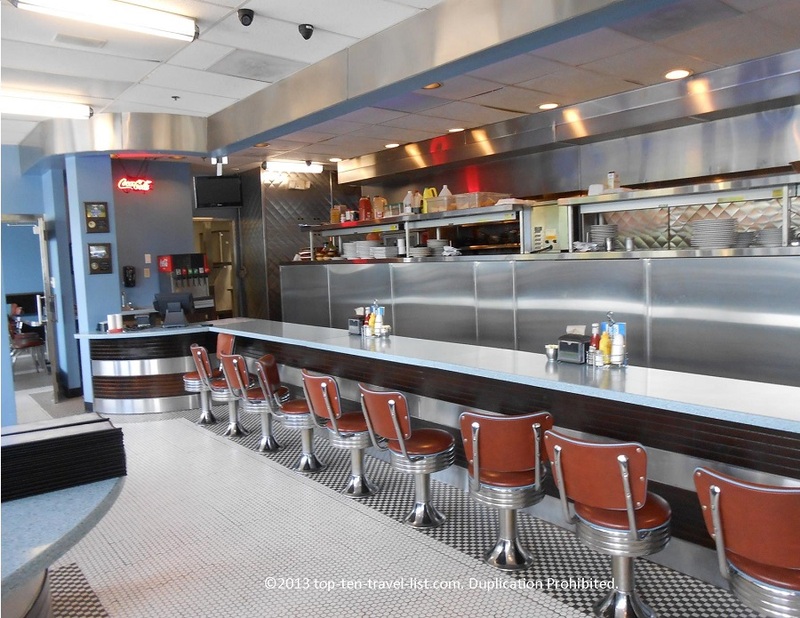 This 1950’s style diner has a modern touch, making the decor very appealing. 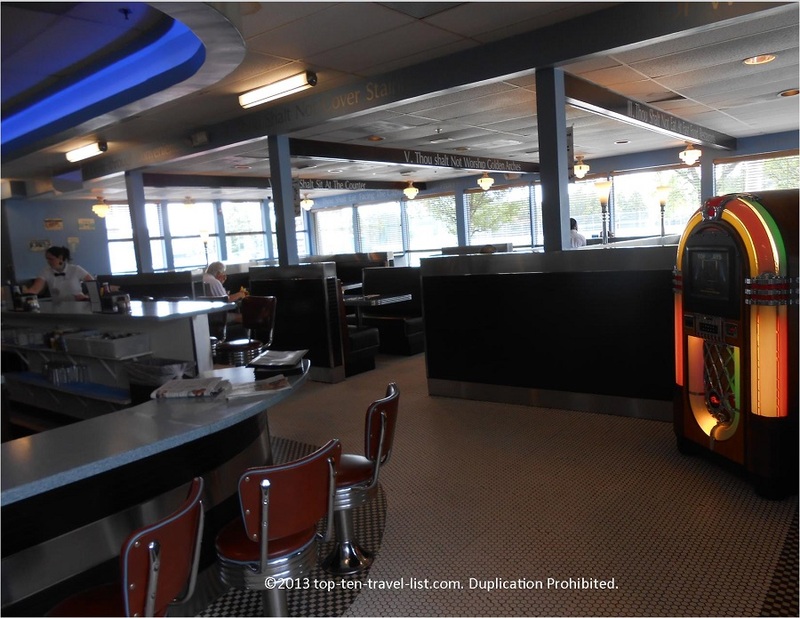 The mix of 50’s style design like the jukebox and retro seating with modern design like flat screen TV’s is a nice touch. My favorite part of the restaurant was the funny slogans on the ceilings. 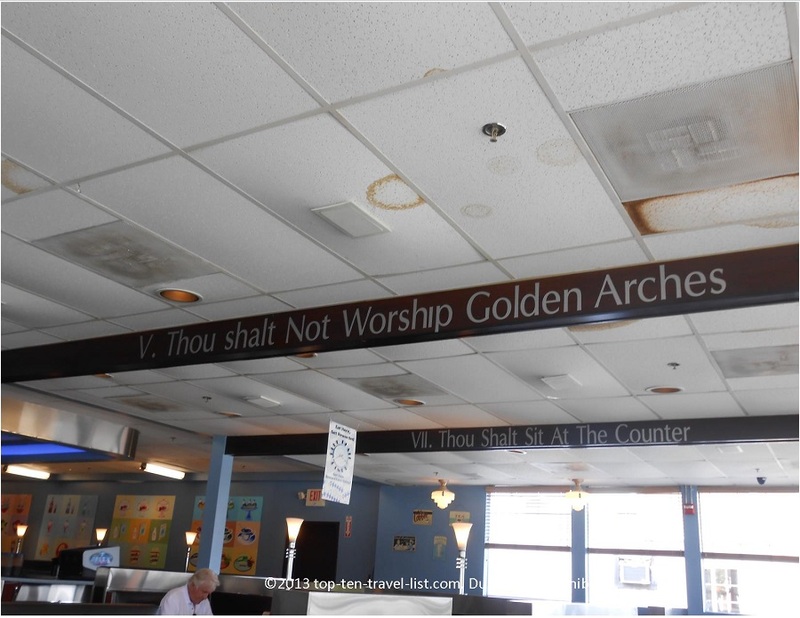 One of them said “Thou shall not worship golden arches.” I am not a fan of McDonald’s and prefer cooking at home or dining at healthier restaurants, so I found this sign hilarious. Take the advice from this sign – skip McDonald’s and head over to Blue Plate Diner for a healthier home cooked meal, served in a unique atmosphere. 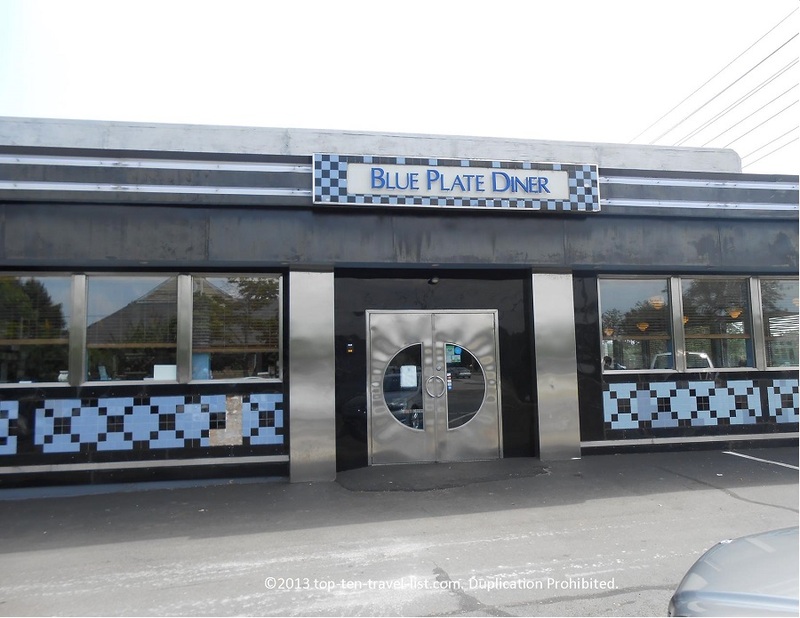 I would definitely stop at Blue Plate Diner again on my next trip to Middletown or Newport. Middletown is only a short 10 minute drive from Newport, making this diner a great breakfast stop on your route. I appreciate the fact that they are trying to use local food sources, as eating healthy tops my list of priorities. 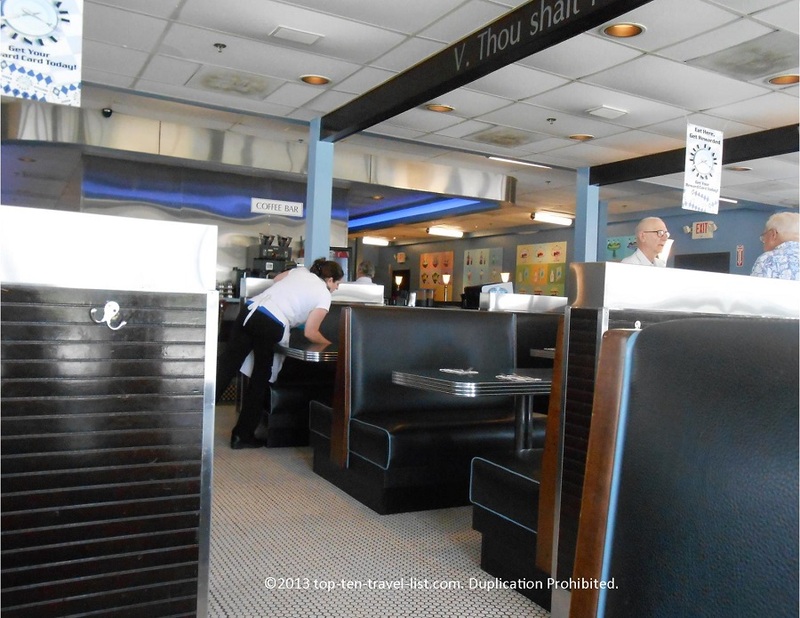 Great food, great prices, great service, and great decor are the highlights of this local diner. Don’t pass on this one!